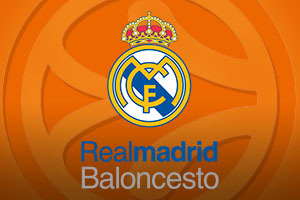 Spread Pick: Real Madrid with handicap -9 at 1.90 Over/Under: Over 154.5 1.90 Bet Now! This will be the third time that these two teams meet this campaign and as they have won the last two encounters, Real Madrid will be feeling slightly confident about this game. However, it should be remembered that the game in Kaunas went right down to the wire, only being decided by the final shot, so it is not as if they can be overly confident. 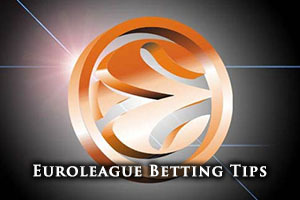 Given their history this season, it is only natural that your Euroleague betting thoughts turn to a Madrid win but you can bet that the Lithuanian champions will be doing everything within their power to finally overcome their major rivals. Kaunas hold a 7-9 record in the Euroleague this season which contains a 5-5 record in the regular season and a 2-4 record in the Top 16. With an average of 70.3 points scored in the Euroleague so far, it is not as if Kaunas have been scoring points for fun but James Anderson has been in spectacular form. The American forward has grabbed an average of 15.6 points per game this season so far, which is definitely something to be proud of. Other top players include Paulius Jankunas, with an average of 7.1 rebounds per game and Lukas Lekavicius, who has grabbed an average of 2.3 assists per game. Kaunas are sitting pretty domestically, with a 24-1 record which naturally sees them at the top of the table. However, they had a close scare in their most recent domestic game, only winning by a score of 81-79 against P. Zvaigzdes. Real head to Lithuania with a 13-3 record in the Euroleague, which contains an 8-2 record in the regular season and a 5-1 record in the Top 16 so far. Given that Real Madrid have bagged an average of 86.9 points in the Euroleague so far this season, they clearly know how to put teams away. Felipe Reyes has been a major player this season with the Spanish forward grabbing an average of 12.1 points per game and an average of 6.6 rebounds per game. He has been ably assisted by Sergio Rodriguez who has offered up an average of 6.1 assists per game. Real Madrid are currently sitting in second place in their domestic league, holding a 16-4 record. Their most recent outing was an 86-69 win against Fuenlabrada, another home win achieved with a minimum of fuss and effort in the Spanish capital. All indications suggest that Real Madrid will win this game and if you are looking to back the Spanish giants, taking them with a -9 handicap, at odds of 1.90. If you are keen to go for the Over/Under market, remember the high points scoring form of Real Madrid and opt for the Over 154.5 bet, available at odds of 1.90. Both of these bets are available from Titanbet. Bet Now!